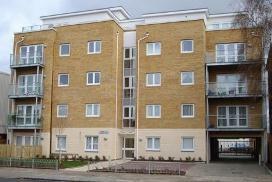 My Estate Manager is a Hertfordshire based residential property manager of communal areas . · Has a dedicated property manager who manages a limited number of properties, in order to ensure that site visits occur AT LEAST once a month. Although, we will be updating our website so that residents can find out more on-line. we know that a flashy website won’t persuade you to use My Estate Manager. That’s why we welcome the opportunity to meet with you and/or your committee for an informal discussion, so that we can chat about your needs and tell you about our unique approach.